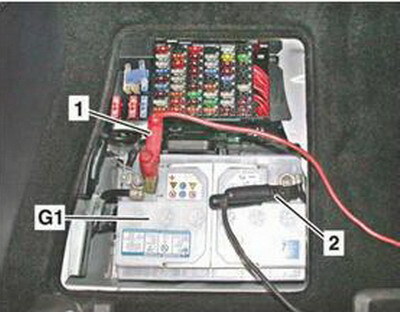 The battery (G1) is located under the flap in the front passenger footwell. 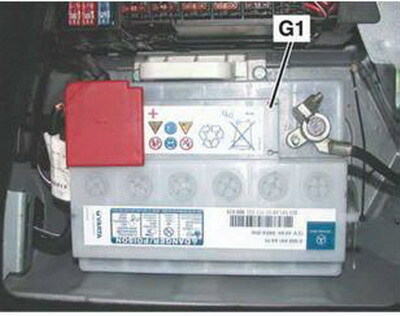 • Check condition of battery (G1). • Connect positive clip (1) of charger to positive terminal of battery (G1). • Connect negative clip (2) of charger to negative terminal of battery (G1). 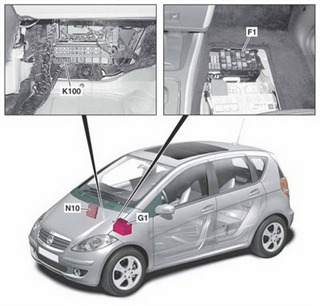 In this section we will add some useful information about some Mercedes Benz 169 - 245 Battery System and it features.